This 5 day long Cochin - Thekkady Holiday trip is meant for the travel manic who always loves a romantic journey. Trip starts from the queen of Arabian Sea and heads to Munnar, for the hill top adventures. Then moves to Thekkady to explore the wildlife and forests. On the way back to Cochin, Visits the very romantic Cherai beach. The bluish water of this Cherai beach and the ambience here will make you say; yea this is the trip that I wishes for. Arrival Assistance at Cochin Airport /Ernakulum Railway station /Bus stand.Freshen up & Breakfast (Optional) at Cochin. Your journey begins to Munnar ‘The beautiful and peaceful hill station covered with unending expanse of tea plantation”. No hill station trip in Kerala is ever complete if you don’t take a trip to Munnar, perhaps one of the most beautiful hill stations in Southern India. It’s a spot where you may await to see in a fantasy or a fairy story. The majestic hills of Munnar are nothing short of the icing on the cake for the die-hard romantic who would feel this is something like Disneyland for them. 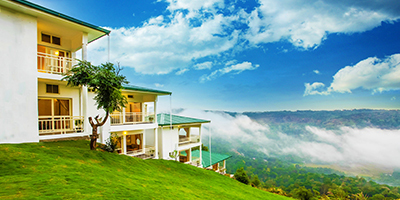 The hill station leaves a sort of colonial legacy, a landscape that is adorned with regal tea estates, all to satiate the British Empire’s appetite for tea. At approximately 1600 m above sea level, the endless tea gardens, boat cruises and eternal spots like echo point are exactly the kind of holiday you wish to come for. Check in to the Hotel /Resort . Over Night stay at Munnar . Breakfast at Hotel . Munnar is the ideal spot for you, its magical, the weather is so perfect that you wish you could stay here throughout the year and it doesn’t hurt that you could wake up to the heart-tugging sight of the emerald carpeted tea estates all around you. Optional:Top station /Nayamakkadu Watefalls/Lakkom Waterfalls at extra cost. Over Night stay at Munnar . Breakfast at Hotel & check out . Your journey begins to Thekkady /Periyar /Kumily India 's largest wildlife sanctuary is a dream destination for any tourist visiting Kerala.Check in & freshen up. Optional Tours: Chellarkoval Visit (by jeep only) /Elephant safari /Tribal village visit.